The Miracle Maker was probably the first Jesus film to have its own official website, at www.themiraclemaker.com (2000). Although it vanished from the web in around 2006, versions are archived at archive.org. IMDb’s entry on The Miracle Maker featuring full cast, crew, etc. 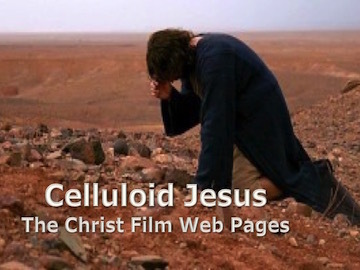 Entries on Matt Page’s Bible Films blog that deal with The Miracle Maker. Peter Chattaway discusses the special edition DVD release (2007) on his Filmchat blog. Where can I get hold of The Miracle Maker? The film is currently available to stream on Amazon Prime (October 2017). Recommended version: The Miracle Maker – Special Edition [DVD, Amazon]. This version (released 2007) has several special features including a “making of” documentary (see further above). There was a Two-Disc Blu-ray/DVD Combo released in 2011 but it is now very difficult to get hold of, and very expensive on the second hand market. Most of the special features on this release are found in the DVD – Special Edition , which is still available and reasonably priced.